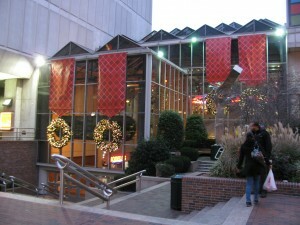 It’s Christmastime in Center City! And you would hardly know that from looking at the papers. The city’s best light shows this year, declared the Metro last week, are in Franklin Square, Chestnut Hill, and Lower Moyamensing (so spectacular it merited its own article). But what about, y’know, Walnut Street? Or Market? Aren’t the best Christmas decorations in the city supposed to be in its commercial core? Shouldn’t they? After all, is there any better way to encourage people to buy something than to be festive about it? So I took my camera, and I observed ... Continue reading at Hidden City Philadelphia. The architect and city planner Horace Trumbauer is credited with one of the classic lines of city planning: “Make no small plans.” Trumbauer’s approach to the discipline, combined with the dominant influence of Paris’ Ecole des Beaux-Arts, led to one of America’s first major homegrown urban traditions: the City Beautiful. It was in this City Beautiful spirit that the Frenchman Jacques Gréber designed the Ben Franklin (née Fairmount) Parkway. It was to be many things. A boulevard linking ... Continue reading at Hidden City Philadelphia. These are elements associated with a late 1950s through 1970s design style ... Continue reading at Hidden City Philadelphia. The Asociación de Puertorriqueños en Marcha (APM) has partnered with the Jonathan Rose Companies, of New York, and Wallace, Roberts, and Todd to develop Paseo Verde. Meaning “green way” in Spanish, Paseo Verde is to be a major new mixed-use development at 9th and Berks, in Lower North Philadelphia. The property was acquired by the development partnership last week. Groundbreaking is to be early next year. 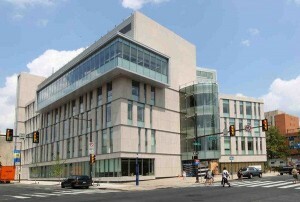 Both affordable housing and design advocates ... Continue reading at Hidden City Philadelphia. 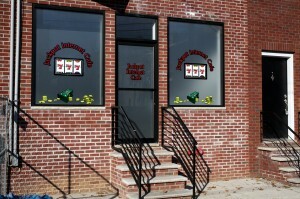 Last week, a sort of miniature gaming den tried to open on Frankford Avenue in Fishtown. This was supposedly an Internet café, but it really was a pop-up casino, offering games and cash prizes. Thankfully, the property owner ... Continue reading at Hidden City Philadelphia. 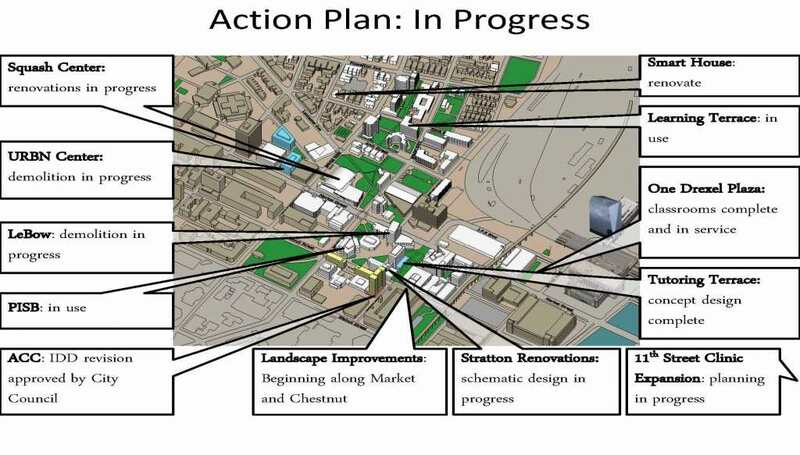 Last Friday morning, Drexel University presented its nearly-complete master plan, developed by the Boston architecture and urban planning firm Goody Clancy, to members of the university community. We've been following the planning through the master plan's blog, which you can access HERE. Among the first projects to break ground ... Continue reading at Hidden City Philadelphia. I am a regular contributor on Hidden City Philadelphia now! Yay! Going forward, expect link posts the way Steve Smith manages Market Urbanism now that he posts at Forbes for the most part. As we watch the bulldozer and trash trucks arrive this morning at Dilworth Plaza, and read of a 5AM face off between Occupiers and police on North 15th Street, let’s wander through Occupy during a more bucolic time–last week, in fact. 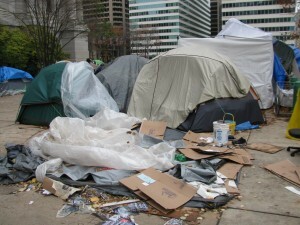 In the beginning, the encampment had features ... Continue reading at Hidden City Philadelphia.